Negroni Week spurred a 50% increase in Campari sales over the same period a year earlier. In 2016, the number of participating venues rose 63% from 2015, with 6,078 total participants. Cocktails are back, having increased by 76% on menus since 2009, according to Mintel Menu Insights. Campari sought to take a lead role in this resurgence via a multiyear effort relying heavily on bartending creativity and community spirit to celebrate and fuel sales of a century-old drink: the Negroni, which can only be made authentically with Campari, its crucial bitters ingredient. To draw bartenders’ and other influencers’ attention, Campari partnered with the magazine Imbibe to launch Negroni Week during the first week of June. It was a weeklong celebration of the classic cocktail. The charity of each bartender’s choice earned $1 from every Negroni sold. To spread the word, Campari visited lifestyle publications and websites along with leading bartenders who held deskside drink-making sessions and happy hours. And beyond drinks, everything from Negroni-inspired food to fashion to Pandora lists were created to enhance the story and promote local sales. 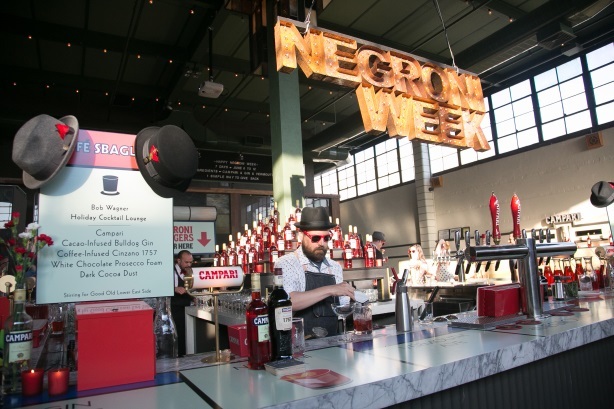 Among social media activations there was a branded site — www.negroniweek.com — that included a searchable database of participating locations. And, of course, site visitors could purchase such specially crafted Negroni Week creations as T-shirts and artwork — even balms. This led to $380,843 in charitable donations, up 20% year over year. With more than 743 million impressions — a figure up 85% year over year — the key message that an authentic Negroni can’t be concocted without Campari resonated loudly. "Terrific results," one judge noted, "but perhaps more impressive was how it took the standard ‘week of’ concept and made it not only smart and chic, but also compelling. Working with culinary tastemakers and unique ingredients, Kellogg’s NYC, which opened in the Big Apple in July, answered the 30% of millennials who say customized foods are a key reason they go to restaurants. And by focusing on earned, social, and experiential tactics, Kellogg effectively showcased cereal’s versatility while creating an engaging, easily shareable initiative. With more than 1.2 billion impressions and a three-point stock-price increase upon news of the café breaking, the effort — and #StirUpBreakfast — paid immediate dividends.